Once you move past the perplexity caused by indirect manipulation of the character, you’ll start to think the way a god-like puppeteer would think about his creation. 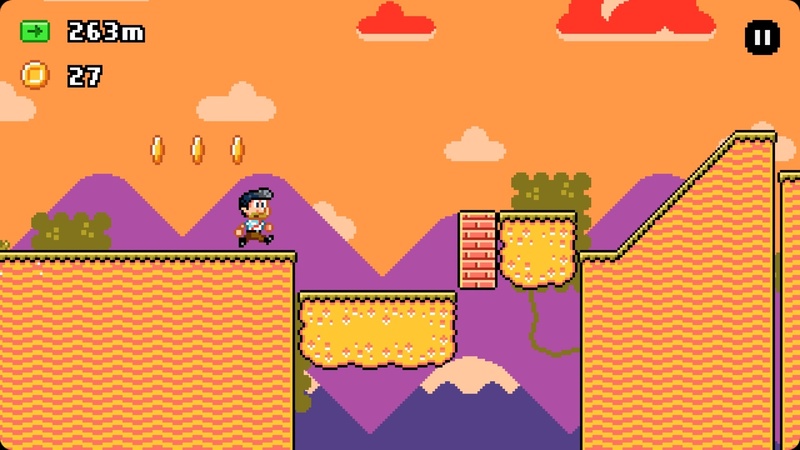 Should I swipe this platform down to combine it with the upcoming chains of coins underneath, or elevate it to make Frank jump and skip three platforms in a row? What if a jump is too high and I lose control of Frank, causing him to fall into a lava pit I didn’t see coming?